Holy Scrap! : I had to do it. 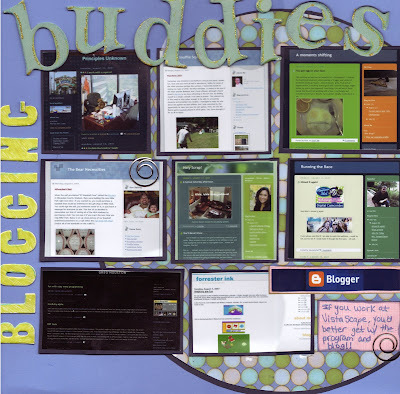 Create a scrapbook page dedicated to our blogs. But I'm a dork . . it's what I do. If you're ever bored and want to check out some interesting reading, you can access links to all my Blogging Buddies right on my main page.